Train to be a dominant force with these high-quality grappling gloves packed with custom designed details for protection, durability and ease of movement. EverDri and C³ Foam technologies. Reinforced seaming around the palm. 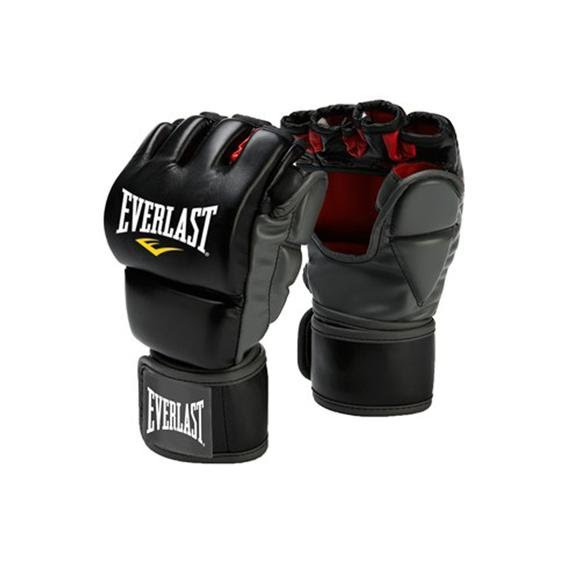 Everlast&apos;s Contoured, Closed Cell Foam technology is designed with increased cushioning, support and force dispersion. The ergonomic form of the high density foam contains closed cells that inhibit moisture transfer into foam padding to keep your gloves lighter and drier during use. The ultimate in moisture management, EverDRI wicking optimizes your comfort and endurance levels.